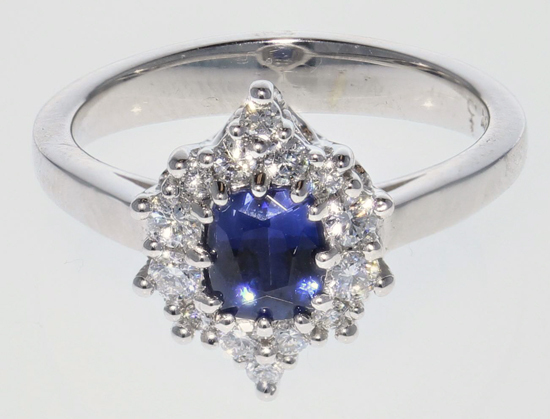 This lovely ring features a 0.74 carat Benitoite. This rare gem is only found near San Benito, California, and so it has been named the California state gemstone. The beautiful blue color on this Benitoite is one of the best that we've seen!